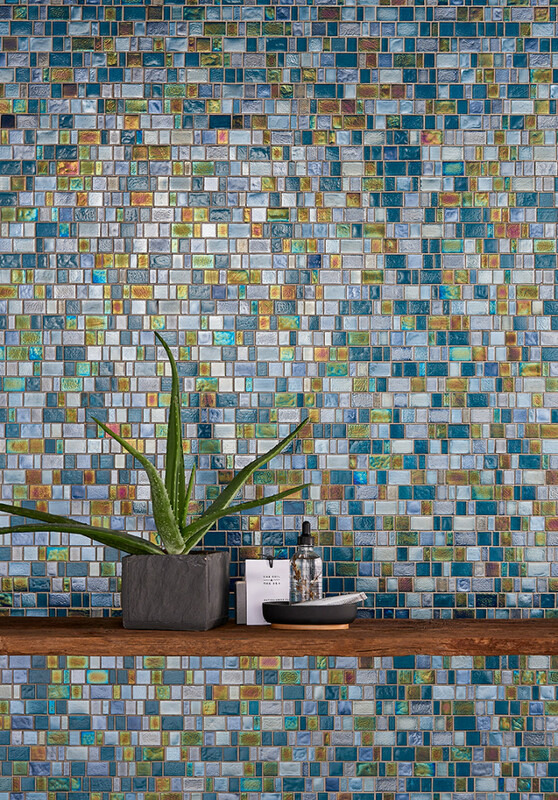 Let the colors of the sea, sand and sky wash over your home and yardscape with the dazzling and prismatic reflections in our latest glass mosaics, the Kahakai™ Collection. 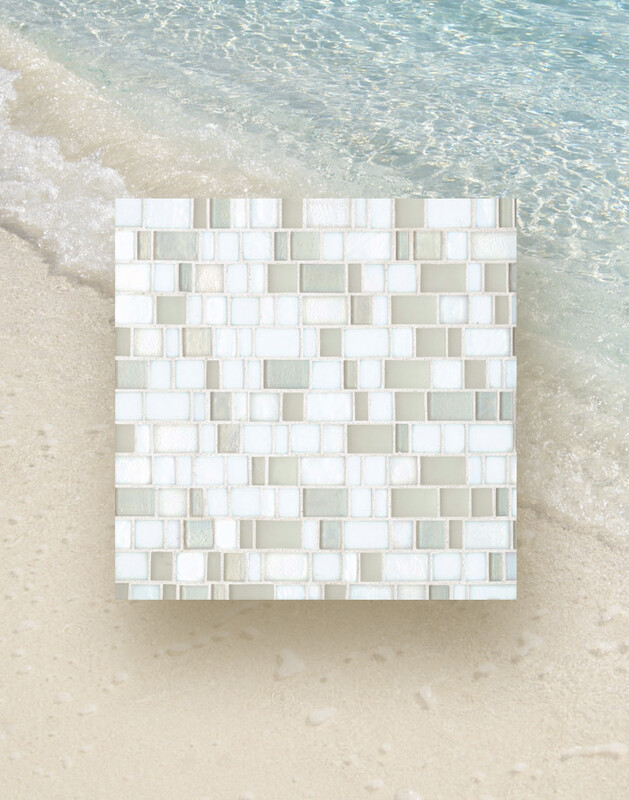 Kahakai™, meaning beach in Hawaiian, is our new special order glass mosaic collection inspired by the shimmering colors of the sand and reflections of Hawaii from sunrise to sunset. 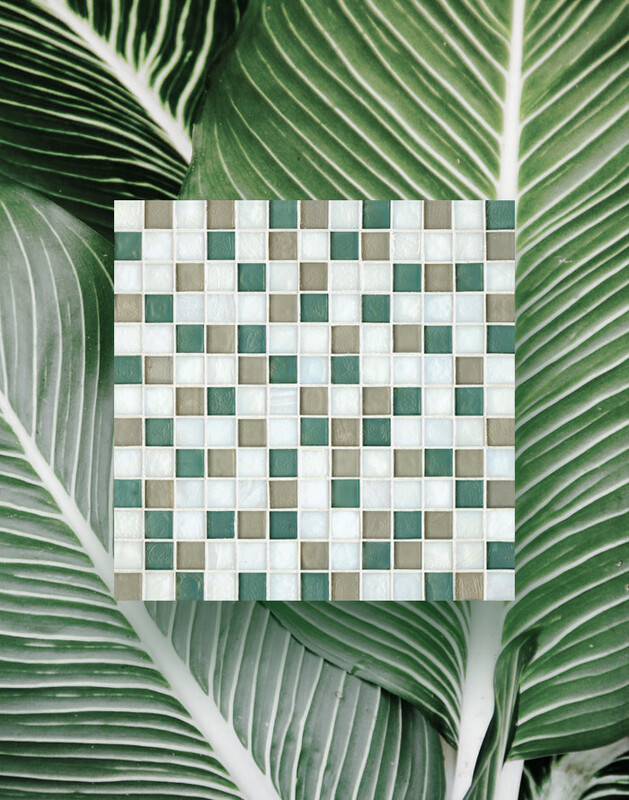 Its 10 color blends and four versatile patterns evoke a casual elegance and will bring warmth and a little sparkle to your home or outdoor living space. 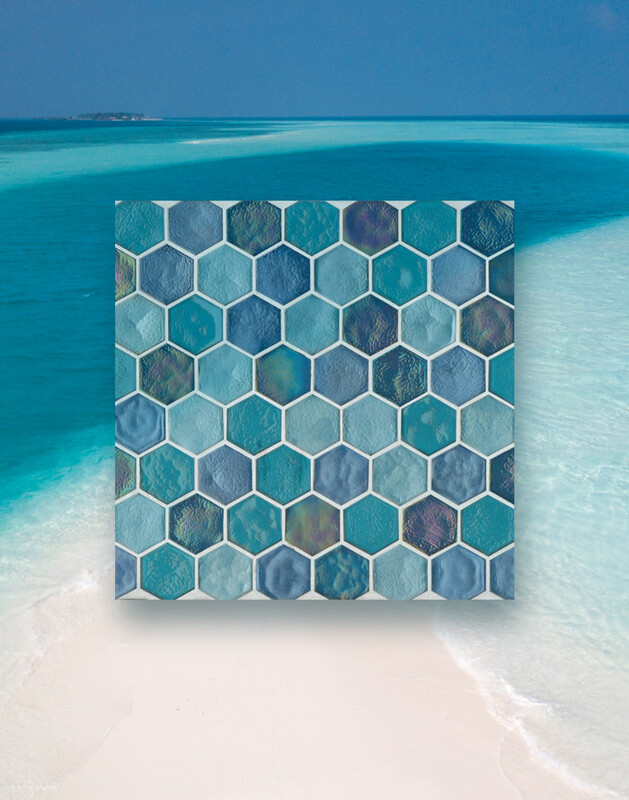 To create the Kahakai™ Collection, the product development design teams from Bedrosians® and Oceanside Glass & Tile worked closely to craft this new colorful glass collection. By bringing these two strong brands together, we’ve created a collection that is artistic, versatile and can be used in many applications, like backsplashes, feature walls, and even pools and spas. The Oceanside Glass & Tile brand speaks for itself. The beauty and quality of their products is stunning. Perfect for pools, spas and showers, Kahakai™ will reflect light and add a touch of jewelry to any place you choose to use it. Glass tiles are durable with a non-porous surface that is perfect for wet environments. The translucent and iridescent finish adds dimension that cannot be achieved with stone or porcelain. 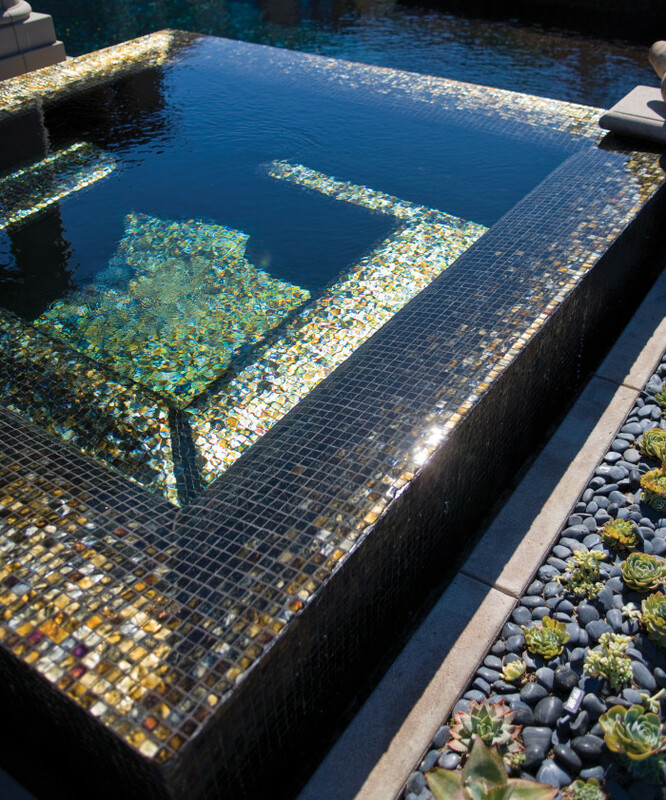 Transform your pool into a work of art. Indulge in the iridescent shades of turquoise, blue, gold, green and mother-of-pearl to create your very own fantasy island. 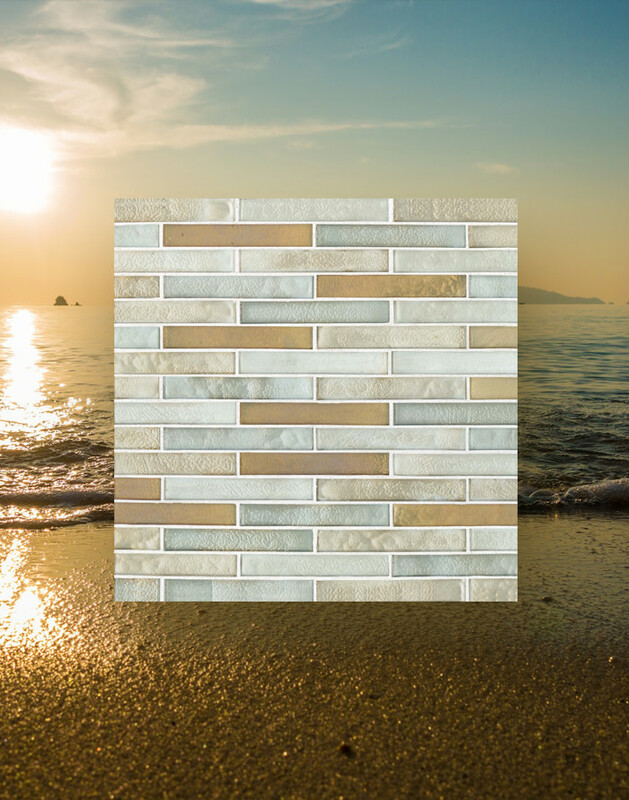 Glass tile, including Kahakai™, is made primarily from sand, an abundant natural resource, with many colors containing recycled content that may include pre-consumer and/or post-consumer recycled bottle glass from curbside recycling programs. Glass tile is an extremely strong building material that is impervious to water and freeze/thaw resistant. This long-lasting durability further adds to its sustainability. Glass tile makes the space feel larger by bouncing light throughout the room. It also creates a beautiful visual effect that you can play with by strategic positioning. It’s clean, hygienic, and easy to clean up. It’s green; glass is all natural, and many tile varieties are made from recycled glass which further enhances their environmental friendliness. It’s durable; glass tile will last and last without the need for heavy maintenance or upkeep. If you keep it clean and maintain the grout, the backsplash will last as long as your own home. Installation for Kahakai™ is a little different than the usual glass mosaic. This collection is clear and transparent and cannot be mounted on the mesh used to hold together many other types of mosaic, such as stone or ceramic. Instead, brown craft paper is used to mount the mosaics into sheets. Rather than the paper being on the back of the tiles, like the mesh of other mosaics, it is installed on the front of the tiles. When you hold a sheet of paper-faced glass tiles, you are actually looking at the backs of the tiles, and the part that you will place against the wall. To learn even more about cutting and installing Kahakai™, read our full installation instructions.